We all accept that social media is essential for a business, but not necessarily understand why. Business owners who hire someone to help with their social media see the money going out and not always see the money coming back, in direct relation to their social media activity. That is because the return on investment can be low on social media, especially if you choose to avoid using the ads. If you do choose to use ads you find yourself forking out a fortune on them. People get stuck in a rut of feeding money in to the ads, while actual interactions and sales on social media are low. This is why I feel there is a misconception of how social media can be used as a marketing tool. 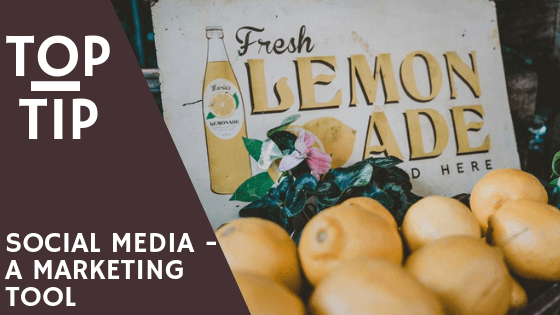 How to use social media as a marketing tool – for free! It is very rare to find anyone over the age 13 who doesn’t have some form of a social media account. It is estimated that by 2020 there will be 2.9 billion social media users worldwide (according to Statista). Just think of all those people scrolling down their screens who could see your business! Social media is not necessarily about selling – because to be honest who checks their Facebook or Instagram to go shopping? Social media is about being seen. It is about sharing your brand with the world, so they get to know you, learn about the people behind the brand and for you to build a relationship with them. Don’t get me wrong, you do still need to post about your product/service. How else will people know what you do? But if all you do is post selling posts, well you can wave good bye to the number of interactions on your page. When social media first started, it was all about the numbers. The more followers the better, using systems such as like ladders to build a huge following bigger than your competitors. Now though social media is more about the interaction numbers – the impressions, the reach, the number of actions on your page/posts. To obtain these numbers your posts must give people a reason to interact and share with their friends. Are you an Author? Then do a leading quote from your book, or even your favourite book, with an eye catching graphic as the background. Are you a Make up artist? Then share a picture collage of your most favourite looks – on you – with one or two tips to make it possible. These types of post are related closely to your business, give a sneak peak in to your services and an insight into you as the owner. It is these types of posts I have seen get some of the highest interaction rates than any other post types. For example, I recently did a post on procrastination. I was struggling to come up with a plan for a website and was easily getting distracted by personal chores that needed doing. So, I cleaned under my stairs, and took a break. Suddenly the idea I had been struggling to grasp hit me like a 2 by 4 and I was able to sit and complete the website. The aim of the post was to show that even as a business owner I struggle with productivity at times, but it also dropped in a touch of one of my services. Now this post didn’t get me a rush of people wanting a website, but it did get me a few comments from people, who then mentioned it to their friends. Helping me expand my reach and spreading my business name. And that was the aim, to interact with those that currently follow me, and have them naturally share my name to others through their interactions with others. All while giving an insight to me as a business owner. All it takes is just 15 minutes a day to put up a post and interact a little in groups where your audience can be found. Or you can schedule your posts upfront on a weekly/monthly basis then spend 5-10 minutes just interacting a day. While your waiting for the kettle to boil, or the kids to come out of school, there are plenty of easy short times to interact on social media without allowing yourself to get absorbed in it – which I know I can be guilty of! Social media is about being social, not about selling – its even in the name! So do not worry if the selling post you put up last week did not result in any sales, as long as your reach/impressions are at least 20% of your followers that post worked to get your name in front of someone, and next month when they are shopping, your name will come to mind!